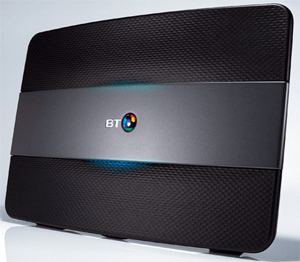 BT launched its new wireless router BT Smart Hub for its Infinity customers. It is quite a leap over its predecessor Home Hub 5 in every sense.Although, both are dual band wireless routers, Smart Hub (Home Hub 6) is packed with additional features like advanced filters and an awful built-in set of seven antennas. So, what BT had in mind when designing this high performance WiFi router? BT says home broadband users can now use wifi anywhere in home, as Smart Hub 6 is designed to send the most powerful wifi signal. In fact, the provider claims it is the best ever router that is supplied with broadband, when it comes to wifi signal reception. As per tests, Smart Hub has an improved 500m wifi range which beats many broadband ISP routers. Smart Hub uses this technology to choose the best wifi signal so there will be minimum dropouts and better performance. Only the very latest wireless routers are compatible with 802.11ac wifi standard and Smart Hub adopts to this next generation technology to ensure that its customers get a device that can meet the needs and capacity, when more users share broadband via wifi. Smart Hub, like Hub 5, uses dual band frequencies 5GHz and 2.4GHz, 4 gigabit connections and has provision for ADSL 2+ use as well. Dual band feature will help the device to pick the powerful signal available in the right channel. Using this new feature, Smart Hub can efficiently manage the task of connecting multiple devices at the same time. This means, you can connect multiple devices simultaneously without any hassle.